This Pokemon's type changes depending on the energy attached to it. Choose one of your opponents Pokemon. This attack does 80 damage to that Pokemon. 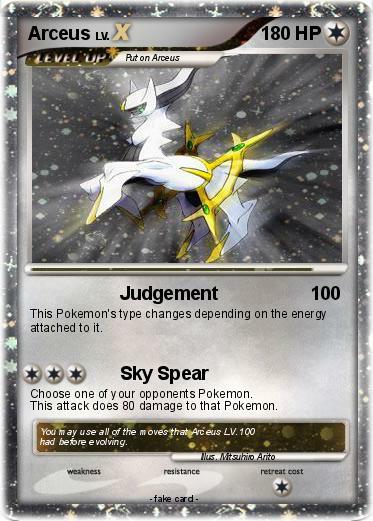 Comments : You may use all of the moves that Arceus LV.100 had before evolving.